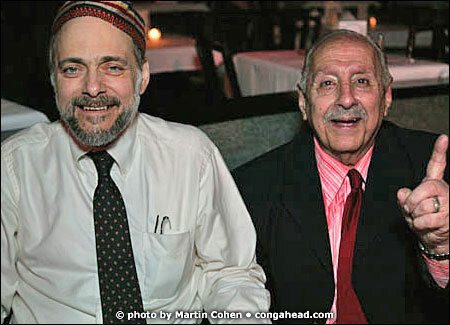 On April 27, 2004, a benefit for pioneering and virtuoso bassist, Andy Gonzalez, was held at New York City's Birdland Jazz Club. The event was organized by music producer Todd Barkan. Since the crowd was beyond its capacity, the club needed to stop letting people in before the first set began. Andy has been a friend of mine for well over 30 years and was part of LP's legendary Latin Percussion Jazz Ensemble tours with Tito Puente and Patato.